Woodgreen were appointed to carry out the internal alterations and adaptions, to infill an existing courtyard to form a central hub. This entailed into the introduction of a structural steel frame structure to support the existing roof structure which also included temporary works supports so that we could remove the existing external walls to form a large open space. 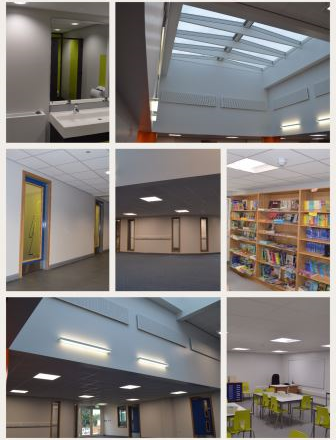 The works also involved the refurbishment of the existing adjacent classrooms and toilet facilities in that area of the proposed works.